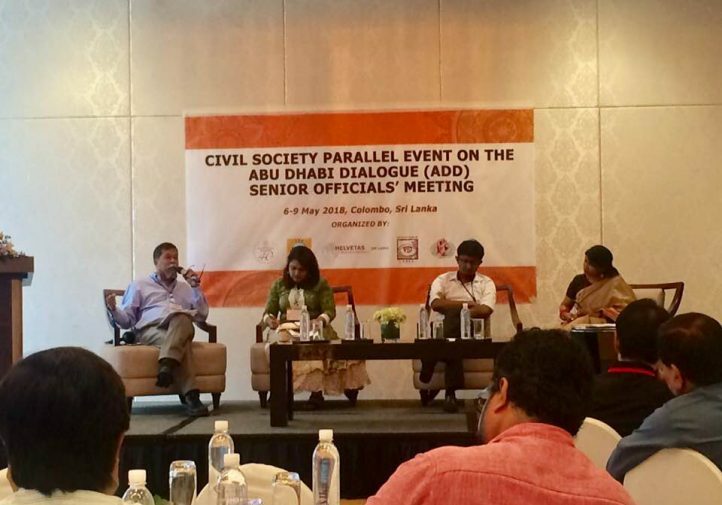 The Civil Society Parallel Event on the Abu Dhabi Dialogue (ADD) Senior Officials’ Meeting (SOM) was held from 6-9 May 2018 in Colombo, Sri Lanka. 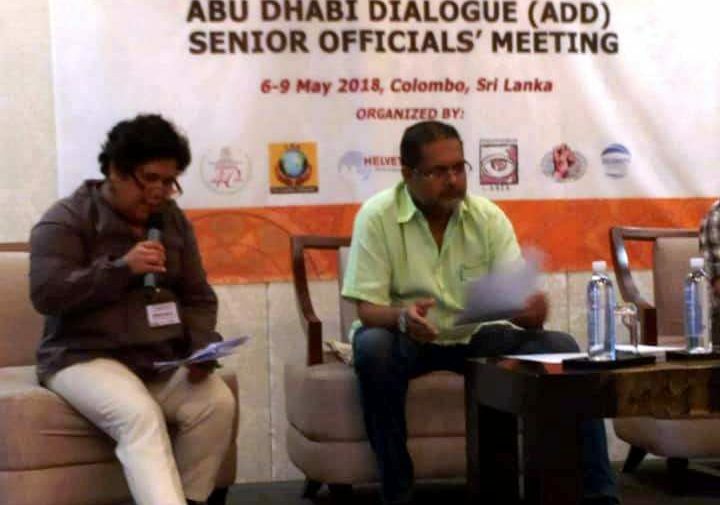 The program was organized by Migrant Forum in Asia (MFA), Helvetas-Sri Lanka, Community Development Services (CDS), Solidarity Center-Sri Lanka, Lawyers Beyond Borders-Sri Lanka Chapter and the National Trade Union Federation (NTUF). 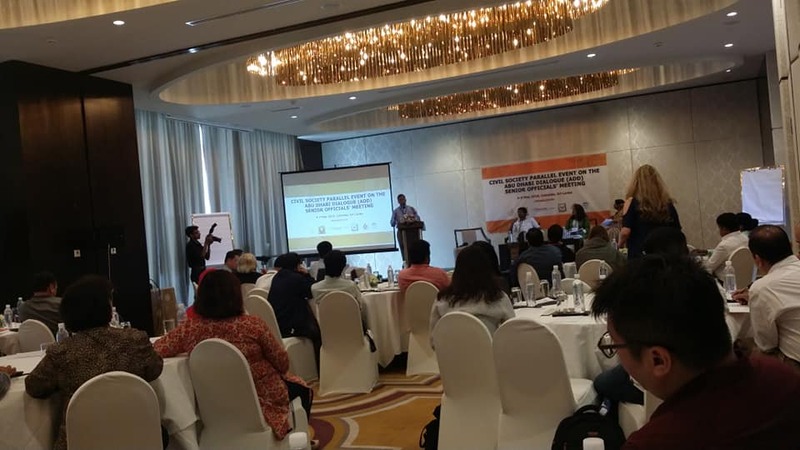 The program was attended by participants coming from countries that are part of the ADD particularly: Bangladesh, India, Indonesia, Nepal, Pakistan, Philippines, Sri Lanka, Thailand, Bahrain, Lebanon, Qatar, Saudi Arabia, and Oman. 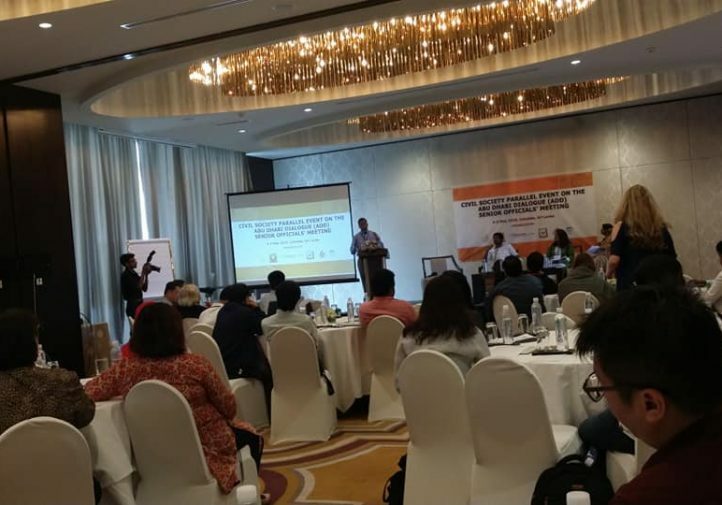 There were also participants who belong to countries that have observer status to the ADD particularly the following countries: Japan, Korea, Malaysia and Singapore. 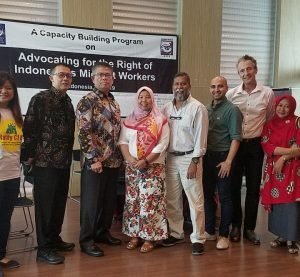 MFA worked closely with the Cross-Regional Center for Refugees and Migrants in identifying participants from the West Asia region, key persons who share the same commitments in promoting and protecting the rights of migrant workers in. 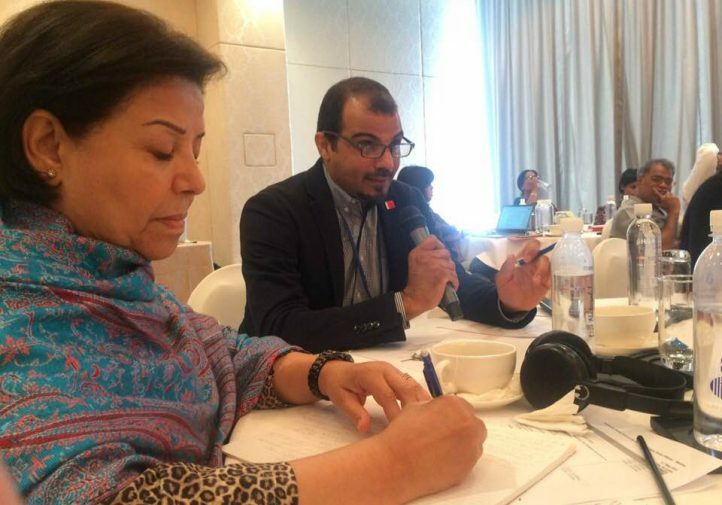 Gulf participants were mostly those coming from the trade union, private sector, civil society organizations, and human rights organizations. 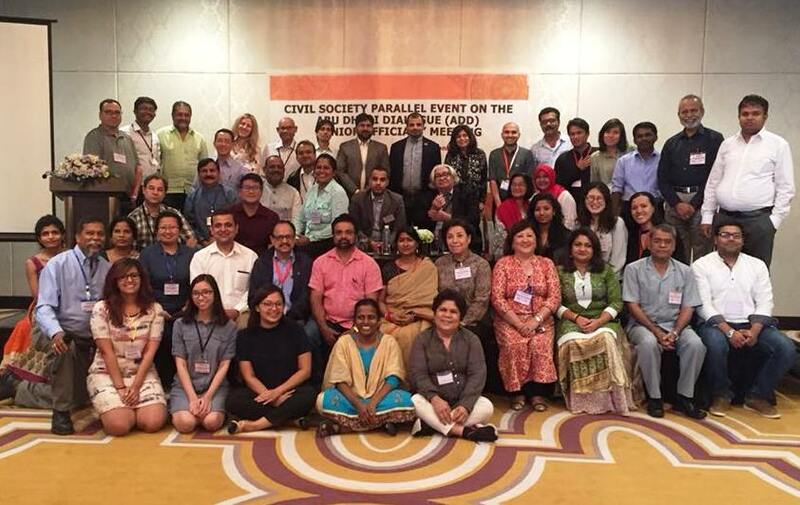 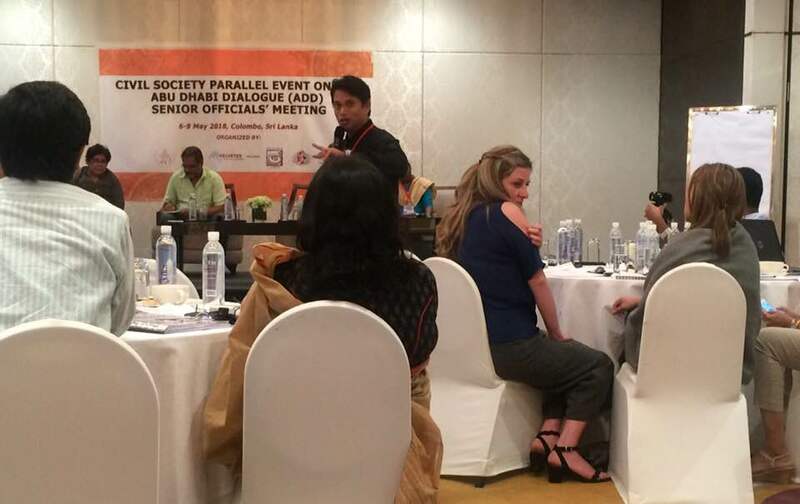 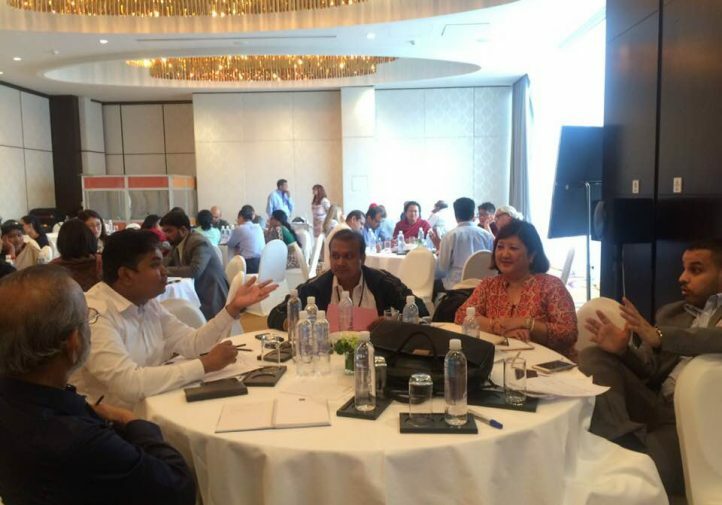 The civil society program is a parallel event on the ADD Senior Officials’ Meeting which was held on 8-9 May 2018 in Colombo, Sri Lanka where for the first time the MFA network was able to send representatives to participate in the program. 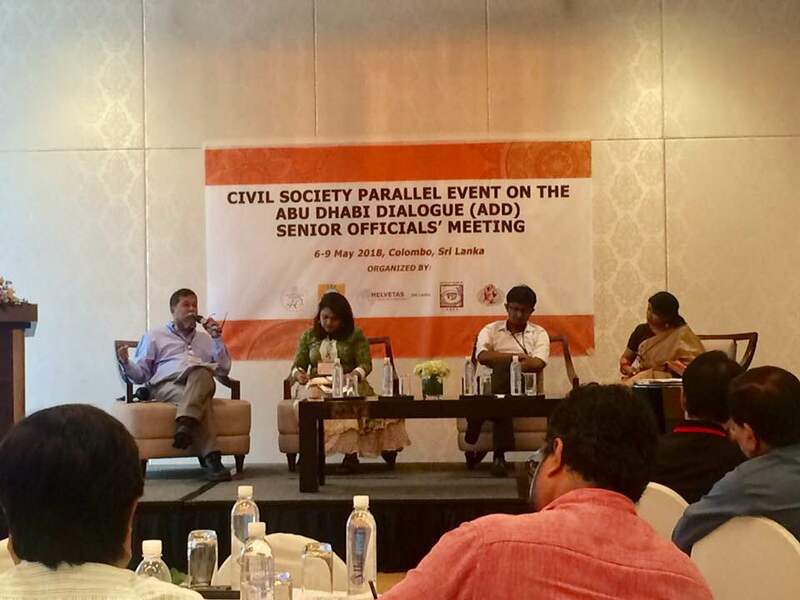 A total of 6 members from the MFA network and 3 civil society representatives from Sri Lanka participated in the program. 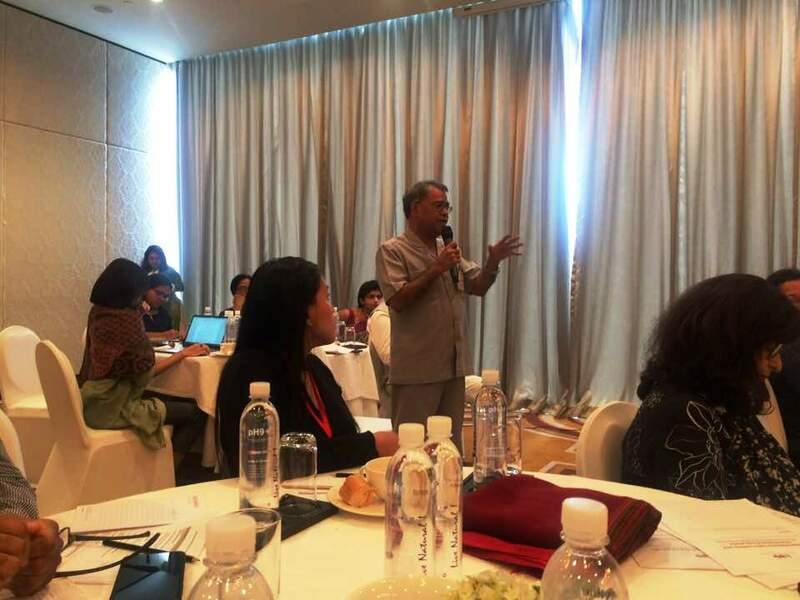 The MFA delegation for the ADD SOM were composed of the following representatives: Mr. William Gois (MFA), Ms. Ellene Sana (Center for Migrant Advocacy), Ms. Josephine Valarmathi (National Domestic Workers Movement), Ms. Sumitha Shaanthinni Kishna (Migration Working Group), Ms. Marina Sultana (Refugee and Migratory Movements Research Unit), and Mr. Laxman Basnet (South Asian Regional Trade Union Council). 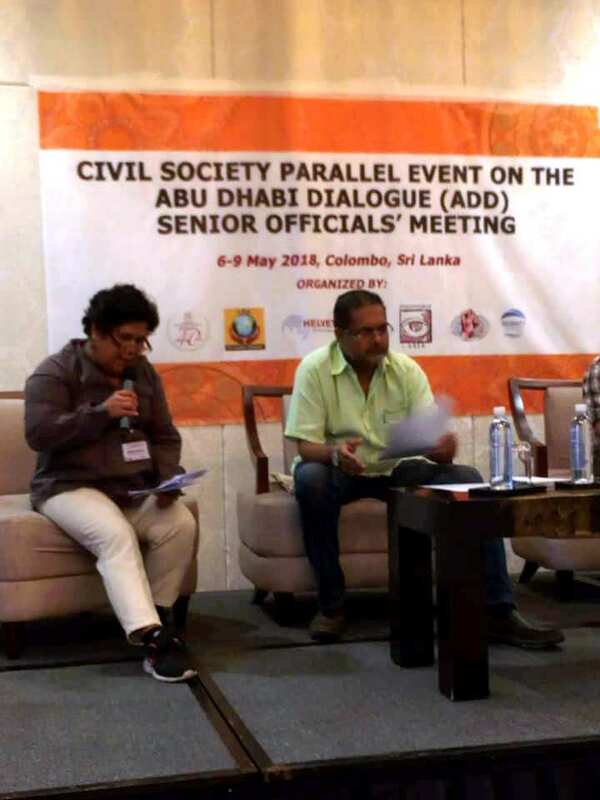 With regard to the local civil society representatives, Mr. Andrew Samuel (CDS) and Mr. Sujeewa Dahanayake (LBB-Sri Lanka) joined the ADD SOM as well. The CSO program was designed to utilize the fact that there were a number of participants who have been engaged in the different sectors and experties who are working with grassroot communities and promoting the rights of migrant workers. 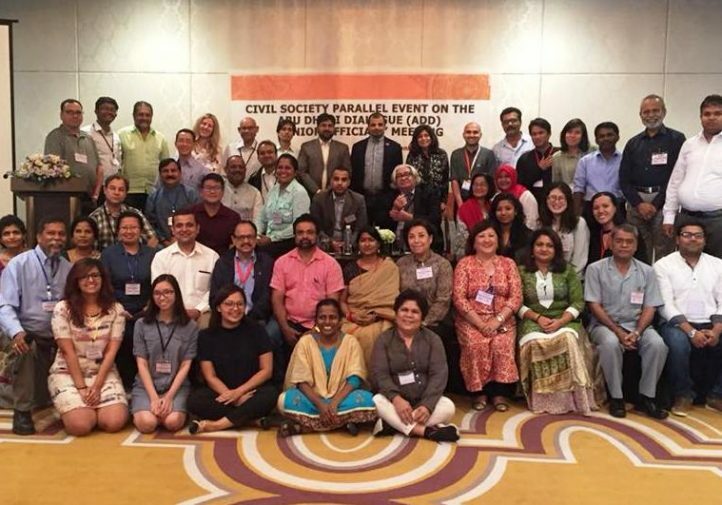 The first day of the civil society program focused on understanding the different intergovernmental processes / regional consultative processes vis-à-vis the four thematic issues of the ADD SOM. 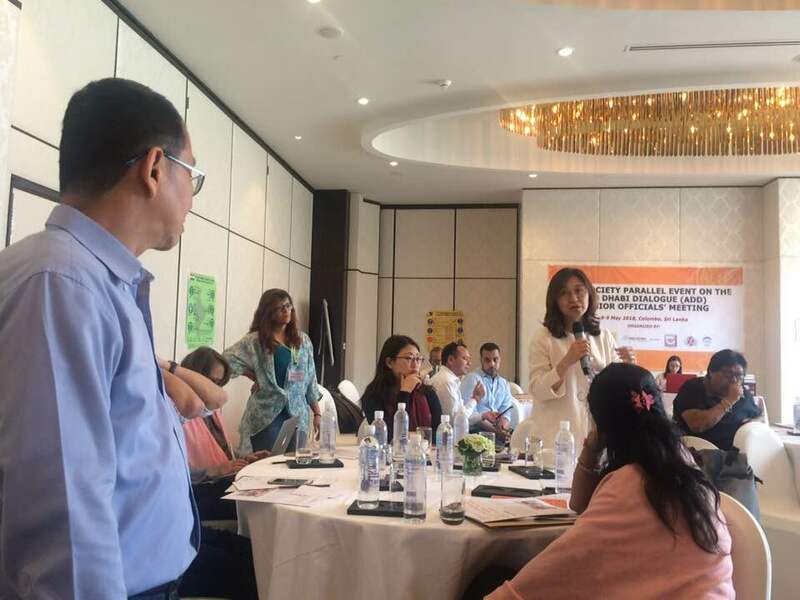 Particularly, these thematic issues are the following: 1) labour recruitment, 2) skills harmonization, 3) comprehensive information and orientation program (CIOP), and 4) domestic work in the Gulf. 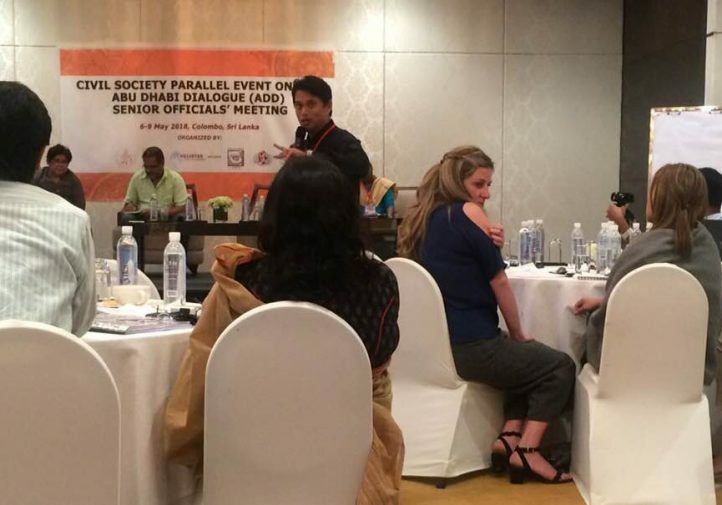 The first day looked largely into sharing knowledge and information around these thematic issues. 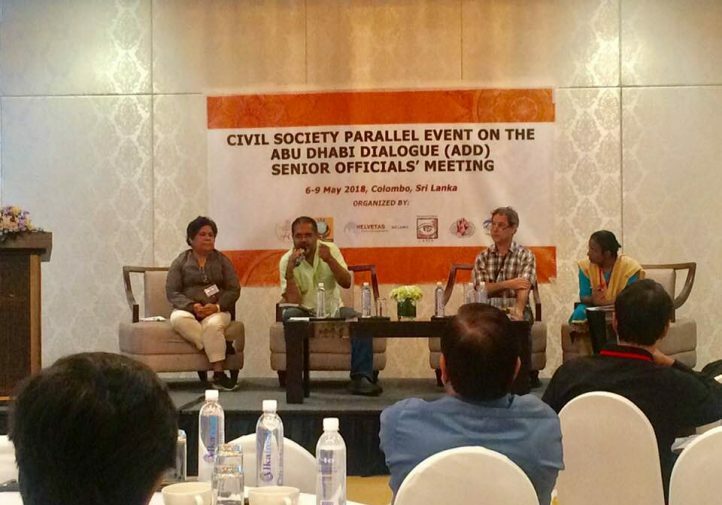 The MFA delegation led the panel on their respective thematic issues and gathered inputs from other civil society representatives. Together, the participants and the panelists looked into what needs to be improved, criticized, changed or should be suggested during the actual Senior Officials’ Meeting. 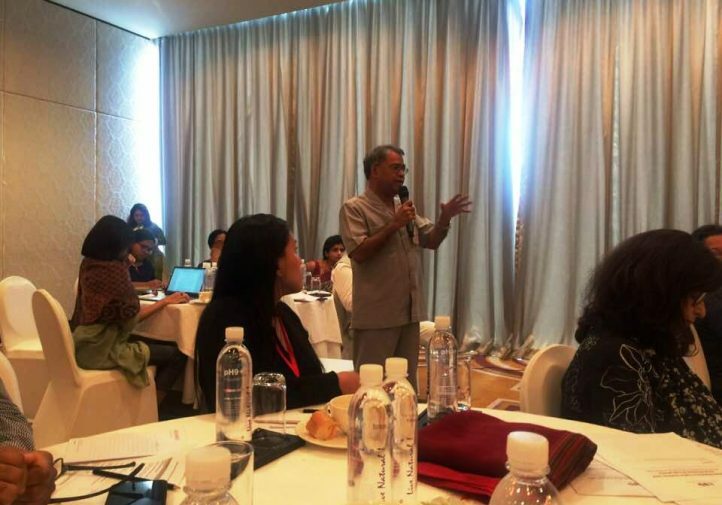 Further on these four thematic issues, the second day continued to engage on this issues. 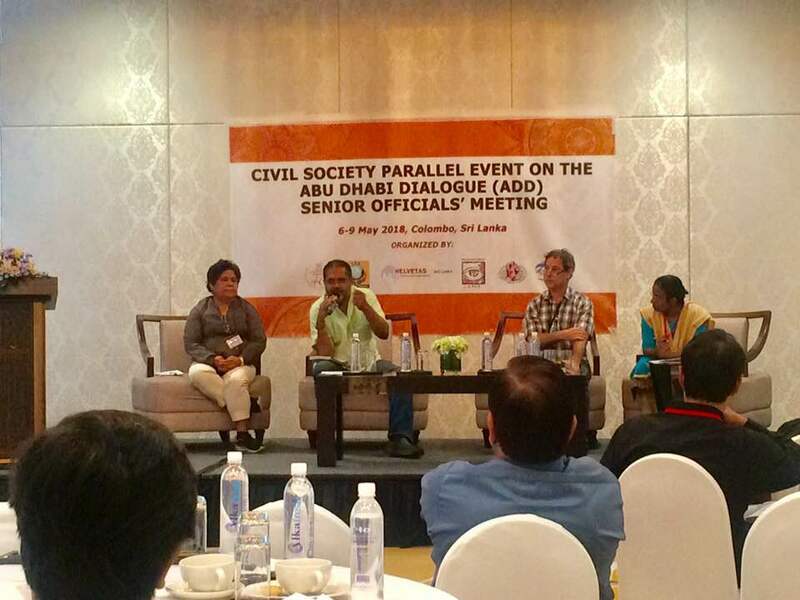 Representatives from governments and institutions were invited to partake in the program and speak on these issues. 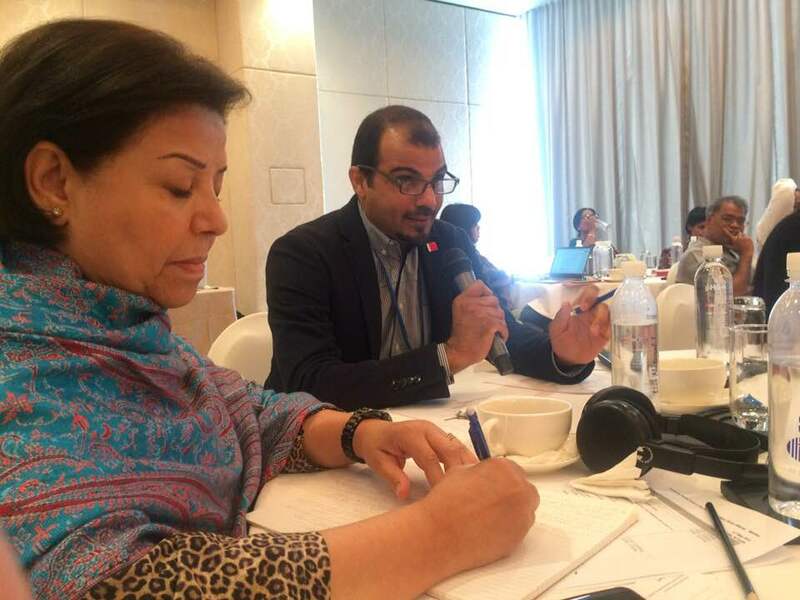 Mr. Max Tunon (International Labour Organization) spoke on the topic of domestic work; Mr. Alex Zalami (MOHRE) gave a briefing on the ADD as well as the UAE’s position on the Global Compact for Migration (GCM); and the last discussant was Ms. Lara White (International Organization on Migration) who talked about the International Recruitment Integrity System (IRIS) Initiative of the IOM. The third and fourth day of the program focused largely on the GCM and the Sustainable Development Goals (SDGs). 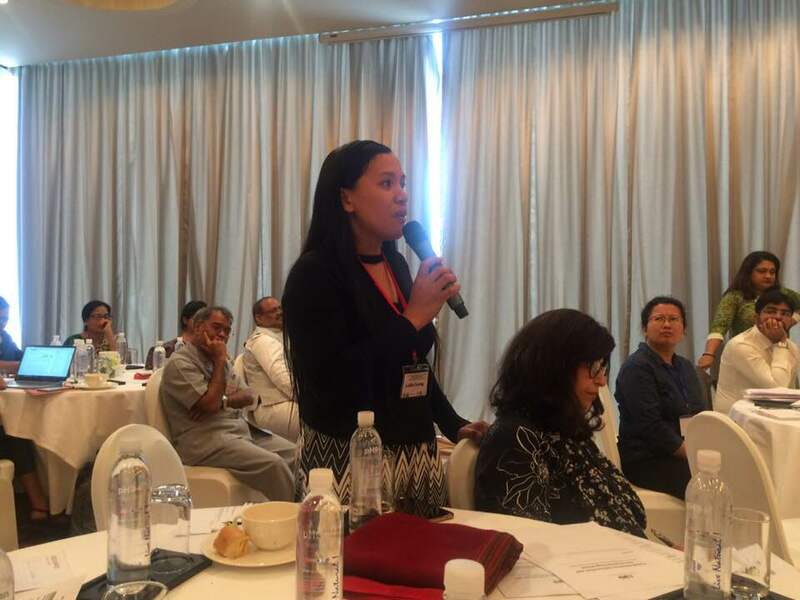 The following issues: detention, mixed migration and access to services, were discussed as these issues are the contentious issues on the GCM discussions at the moment. The sessions focused on understanding these issues and providing/exchanging inputs that participants can share with their governments. 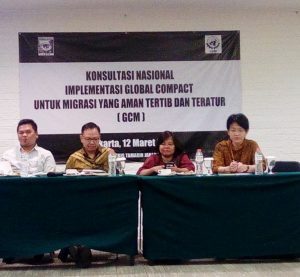 With regard to the SDGs, the program focused on understanding Goal 16 of the SDGs as an “enabling goal” for migration, migrant workers, and members of their families.